I just finished my first container of the new MyoFusion Probiotic protein supplement and I wanted to do a review on it for those interested in buying it. I have been using the regular MyoFusion forever because it is a very high quality protein and I absolutely loved the taste of it. I decided to upgrade to the new Probiotic version of MyoFusion the last time I ordered protein, and I just ordered my second container. This Probiotic version of MyoFusion includes a “6 stage protein blend” which includes Whey Protein Concentrate, Whey Protein Hydrolysate, Brown Rice Protein Concentrate, Casein Milk Protein Isolate, Egg Albumin, and Whey Protein Isolate. Also included is Gaspari Nutrition’s patented “Ganeden BC30 Probiotic” which is in it to support immune and digestive health. Each scoop contains 24 grams of Protein, and 9 grams of Carbohydrates (only 3 grams which are sugar carbs). There is also 2 grams of Fat and 160 mg of Sodium. Overall the ingredients in MyoFusion Probiotic are very solid for a protein, and you are getting a variety of proteins (fast to slow absorbing) to ensure you are getting protein throughout the entire day. Ingredients wise this supplement gets a 9 out of 10. Amazing. Just like the regular MyoFusion I have been taking for a few years now, I absolutely love the taste of the Chocolate MyoFusion Probiotic. I haven’t tried any other flavors, but I highly recommend you get the Chocolate flavor. If you’ve tried the vanilla, cinnamon roll, banana perfection, or strawberries and cream let me know how they taste in the comments below. I should note that I rarely just mix it in a shaker cup with water (although that does taste good). I often blend it with water, ice cubs, a banana, and some natural peanut butter. Blended up makes for one tasty and healthy protein shake. For the taste review I give it a 9.5 out of 10. One 2 lb container includes just over 23 scoops. If you are trying to build muscle you may be taking about 2 scoops per day to get just under 50 grams of protein so keep that in mind. 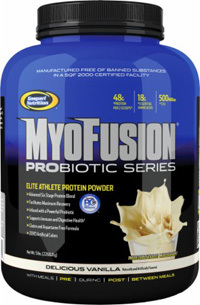 Online MyoFusion Probiotic is just $26 for a 2 lb container, which equals about $1 per scoop. For the quality of product this protein is I think this is a very fair price. There are cheaper proteins out there but you won’t find anything as quality as this for the very reasonable price. For the review of the price I will give it a 9.5. Should I Take MyoFusion Probiotic Post Workout? Not by itself. MyoFusion Probiotic is more of a protein supplement than a post workout recovery. There isn’t much in the way of carbohydrates in it so if you do want to take it post workout you would have to mix it with a recovery supplement. My favorite post workout supplement is 2:1:1 Recovery. If you are trying to save some money I would mix one scoop of 2:1:1 with one scoop of MyoFusion Probiotic for a tasty and solid post workout shake. Is MyoFusion Probiotic OK if I’m Trying To Lose Weight? MyoFusion Probiotic is great for everyone. With only 150 calories and 3 grams of sugar it is ideal for someone looking to lose weight. You can use it in between meals to keep you feeling full or you could blend it with a banana and some ice cubes for a meal replacement shake. 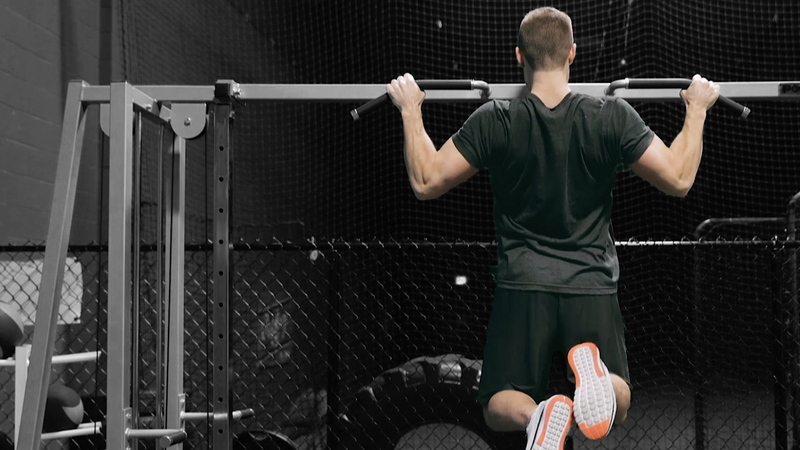 Don’t worry if you are looking to build muscle – you can still take MyoFusion Probiotic as well. You may want to blend two scoops with some oats and natural peanut butter to up the calories though. I’ve always taken this protein powder when trying to put on muscle or cut fat – they high quality protein in it makes it great for either. Get it cheap at BodyBuilding.com (this link will open in a new window and direct you right to the MyoFusion Probiotic page). If there is anything I missed in this MyoFusion Probiotic review or if you have any questions just leave a comment below. Bro – that Brown Rice protein is useless it’s only good if you have problems with lactose. but why put it in there and it’s the second on the list so means it’s more Rice Protein in many other better sources. in my view he is trying to make more money while cutting back spending money in making a quailty product. Do Raspberry Ketones Work For Fat Loss?